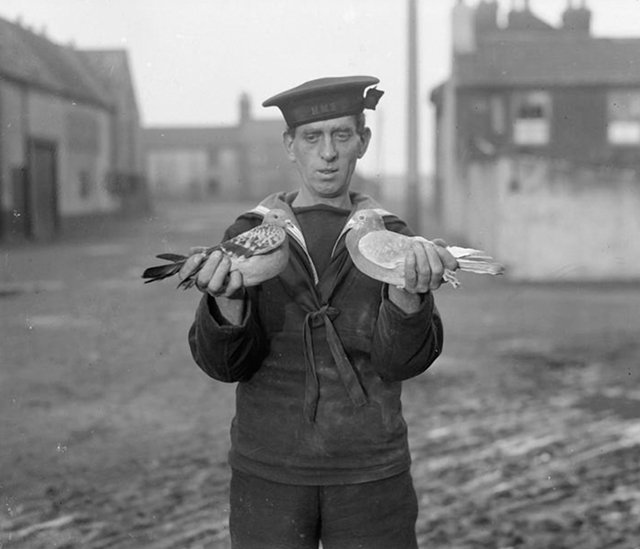 Did you know, over 100,000 pigeons served in the British Army alone during the First World War predominantly as messengers? Given the limitations of technology at the time, pigeons were one of the swiftest ways of delivering urgent messages to and from the front. Even early tanks carried pigeon messengers which were released out of hatches in order to deliver reports from the battlefront. A pigeon named ‘Cher Ami’ was gravely wounded whilst delivering a message that saved an American Battalion in 1918 for which it received the Croix de Guerre medal. Cher Ami was nursed back to health and then became a mascot for the 77th Infantry Division before dying in 1919. Cher Ami’s body is now on display at the National Museum of American History.